After much hard work by the entire StoneImpressions family, we are proud to announce we are getting noticed! We are currently in the November issue of Home & Design Magazine and in the November/December issue of Traditional Home Magazine. 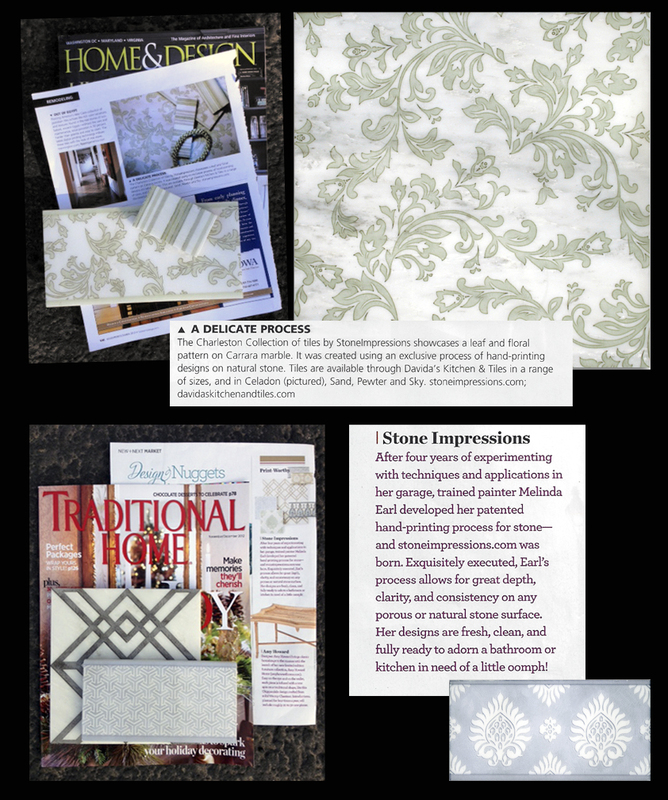 Next year we will grace the pages of Old House Interiors and East Coast Living. Make sure to pick up your copies!